Life insurance is an important means of protecting your loved ones in the event of your death. Finding an affordable policy can often be challenging if you are older or not in the best of health. For some with a chronic or pre-existing condition, it can seem next to impossible. Such is the case with people living with HIV. No matter how healthy you are or how adherent you are to treatment, your options today are few and many times more expensive than the average person would be expected to pay. That’s not to say that you can’t get life insurance; In some cases, you can. But the harsh reality is that HIV life insurance can be extremely costly, even exorbitant, making the issue not so much about accessibility but affordability. Let’s start by telling like it is: Insurance is and has always been discriminatory. Insurance companies base their costs and qualifications on actuarial risk, drawing a statistical line as to who is and who isn’t a good risk. They don’t look at you as an individual but rather the amalgam of factors that are likely to cause you to die earlier than you should. The long and short of it is that life insurance is a betting game, and, to most insurers, people with HIV are simply a bad bet. According to research from the North American AIDS Cohort Collaboration on Research and Design (NA-ACCORD), a 20-year-old, HIV-positive person on antiretroviral therapy can now expect to live into his or her early 70s. A 2014 study by the Multicenter AIDS Cohort Study (MACS) further supported those claims, concluding that people who start therapy early (when their CD4 count is above 350) should be able to have a life expectancy equal to or even greater than that of the general population. By comparison, people who smoke shave an average of 10 years off their lives. While this doesn’t suggest they won’t be penalized by insurers, they wouldn’t be automatically barred or subjected to the same sky-high premiums that a healthy non-smoker with HIV would. Despite gains in life expectancy, people with HIV are more likely to get non-HIV-related illnesses years before their non-infected counterparts. Heart attacks, for example, are typically seen 16 years earlier than in the general population, while non-HIV-associated cancers are diagnosed anywhere from 10 to 15 years earlier. While normal life expectancies have been achieved as a result of early antiretroviral therapy, there remains an enormous gap in the number of people able to sustain an undetectable viral load. Today, only around 30 percent of those diagnosed with HIV are able to achieve viral suppression, while less than half remain in care after diagnosis. In the end, the insurers argue that no matter how "good" an individual candidate may be, they cannot control the one thing associated with long life—whether or not a person will take his or her pills. In some ways, it’s an outdated argument given that HIV therapy is far more effective and forgiving than in the past. Still, in the eyes of the insurer, the chronic management of the disease places HIV in the same risk category as people living with congestive heart failure. The only difference is you don’t have to be ill from the chronic condition to be barred from obtaining insurance; you simply have to have HIV. Today, there is only one insurance company in the U.S. offering individual whole and term life coverage to people with HIV. Formed in partnership with Fortune 500 giant Prudential Financial, AEQUALIS is an independent organization focused on providing financial services to underserved communities living with the disease. Firstly, expect a hefty premium. In submitting a quote for a permanent life insurance policy, we requested $250,000 in coverage for a 55-year-old HIV-positive man on treatment who had no history of illness, didn’t smoke, and a sustained undetectable viral load. The telephonic quote was just over $650 per month, or roughly five times what the man would be charged if he were HIV-negative. Secondly, the criteria for acceptance is not as simple as it seems. Red flags will be raised if you’ve ever had a treatment failure or have lived overseas for a long period of time. The same applies if your CD4 count was ever below 200, if you’ve had hepatitis B or C (even if you’ve ​been treated), or if you’ve ever had a serious opportunistic infection. While you don’t technically have to reveal these things, there may be no way to hide it. Even if you’ve opted for a "no medical exam" policy, you shouldn't assume that the insurer will take you at your word. Once you have passed the initial interview, the next step would be to run a check with the Medical Information Bureau (MIB) and request verification of your medical history from your primary care provider. In order to be approved, you would have to sign over access to these and other medical files. 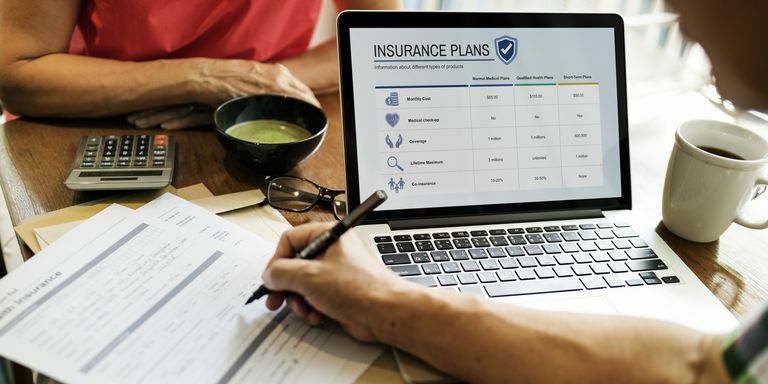 While having a red flag doesn’t necessarily mean you’ll be denied, it may increase your monthly premium or limit your access to certain insurance products. If traditional forms of life insurance are not available to you, there are still a number of options you can explore. Generally, they won’t offer you as high a death benefit as an individual policy, but they may be enough to cover certain costs (such as funeral or educational expenses) should you die. Employer-based group life insurance may be offered by your company, in some cases for both the employee or the employee’s spouse. Death benefits are in the range of $10,000 for the employee and $5,000 for the spouse. As a group plan, costs tend to be more affordable. Voluntary life insurance from your employer is another option offered by larger companies, allowing employees (and sometimes their spouses) life coverage without evidence of insurability. Some of these plans offer death benefits of up to $100,000. Guaranteed issue life insurance (also known as guaranteed acceptance policies) are small, whole life policies with death benefits ranging anywhere from $5,000 to $25,000. Typically, there are no health questions and approval is guaranteed. As such, premiums will be high and full benefits will usually not kick in until one or two years after the Effective Date. If all other options fail, you can apply for a pre-paid funeral plan (also known as a pre-need plan). These are mostly sold through funeral homes and allow you to pay either a lump sum or an installment plan. Some funeral homes will place your money in a trust fund triggered for release upon your death; other will take out an insurance policy naming themselves as beneficiary. If faced with the denial of a life insurance policy, you may want to consider shifting your focus to retirement planning. This is especially true if you are in good health and still working. Many organizations have begun to offer programs that address the long-term financial wellness of people living with HIV. Chief among them is Manhattan-based New York Life, which in 2013 launched the "Positive Planning" initiative to train 11,000 of its agents about the financial needs of the HIV population. Many community-based HIV organizations offer similar programs, allowing clients to attend free seminars or to meet with financial specialists on a one-on-one basis. You can also check with local community colleges, many of which offer courses on retirement planning. Whether you can get life insurance or not, the most productive thing you can do is to prepare as far enough in advance to address every aspect of your retirement, not just your death. Hasse, B.; Ledergerber, B.; Egger, M., et al. Aging and (Non-HIV-associated) Co-morbidity in HIV-positive Persons: The Swiss Cohort Study (SHCS). 18th Conference on Retroviruses and Opportunistic Infections (CROI). Boston, Massachusetts; February 27-March 2, 2011; abstract 792. Hogg, R.; Althoff, K.; Samji, H.; et al. Increases in life expectancy among treated HIV-positive individuals in the United States and Canada, 2000-2007. 7th International AIDS Society (IAS) Conference on Pathogenesis, Treatment, and Prevention. Kuala Lumpur, Malaysia; June 30-July 3, 2013; abstract TUPE260.